These extremely durable, moisture and/or volatile absorbing packets are available in a wide variety of sizes, including low-profile, with your choice of sorbent (silica gel, indicating silica gel, molecular sieve, activated carbon, and more). Uncoated, medical-grade Tyvek® creates soft, flexible desiccant packets that will not damage tablets or capsules. Fill your StripPax Sorbent Packets with the desiccant that works best for your needs. Whether you select activated carbon, molecular sieve or silica gel packets, StripPax Sorbent Packets offer protection of your product without the risk of tearing. StripPax Packets are uniquely designed in strip form for fast, automated loading by our APA-series of StripPax Packet Dispensers. Our systems approach provides for lean packaging operations and increased reliability that keep your assembly line moving. Save space and displace a minimum amount of product. 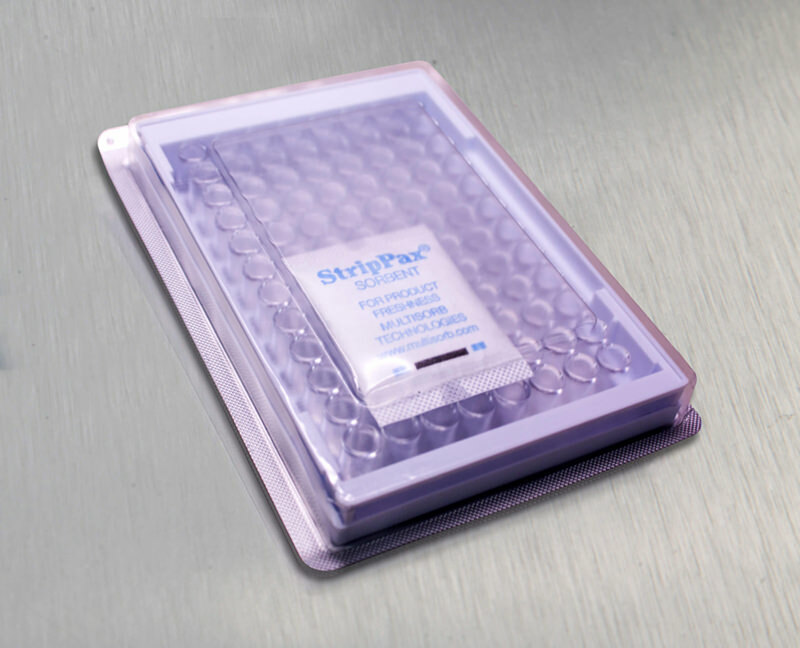 StripPax Packets occupy little space in packaging yet deliver a high moisture adsorption capacity. Soft, flexible packet design protects tablets and capsules, while an abrasion-resistant surface that will not contaminate your product with fibrous material. Uncoated, welded, medical grade Tyvek® is chemically inert. These packets are supported by a Type III Drug Master File, use 21 CFR-compliant materials, and are suitable for use in all regulated product packaging.